Classy piece of work there Alex!! I’m looking for the larger version but don’t want to pay current eBay US prices (upwards of $100 or more). Do you have any suggestions for cheaper alternatives? Make a trip to Europe and buy it here and take it back ;-) No honestly I was asked yesterday for the smaller one, but all sellers on Ebay Germany only ship within the EU and even if they would ship to the US you will pay about 30-40 Euros for shipping + Customs. So 100 USD isn´t too much. Thanks Alex- I wish I could read German… Would be ideal; will look into this! Thanks to your help, I finally got one! It’s wonderful. 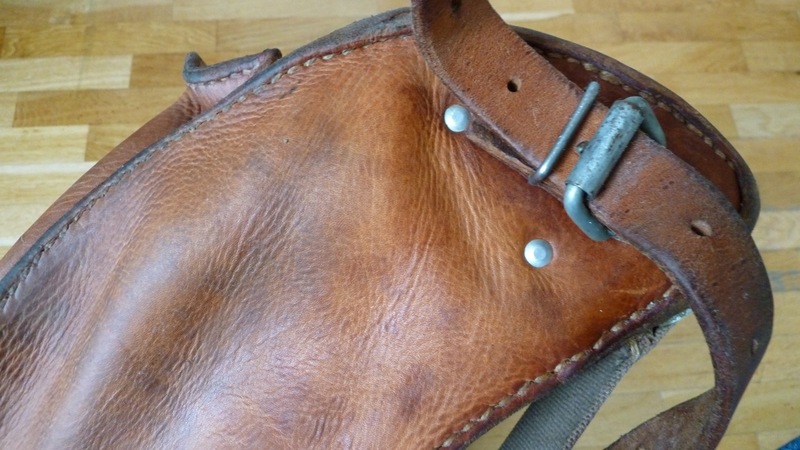 I’m trying to restore and preserve the leather now. Yours looks to be in mintier condition than mine, so I’m trying to maintain its condition. I’m going to take it on a camping/hiking trip this weekend so I’ll be putting it through its paces. Old leather I really recommend to use a conditioner like neatfood oil and later some usual wax based product for protection. Have a great time with the pack. 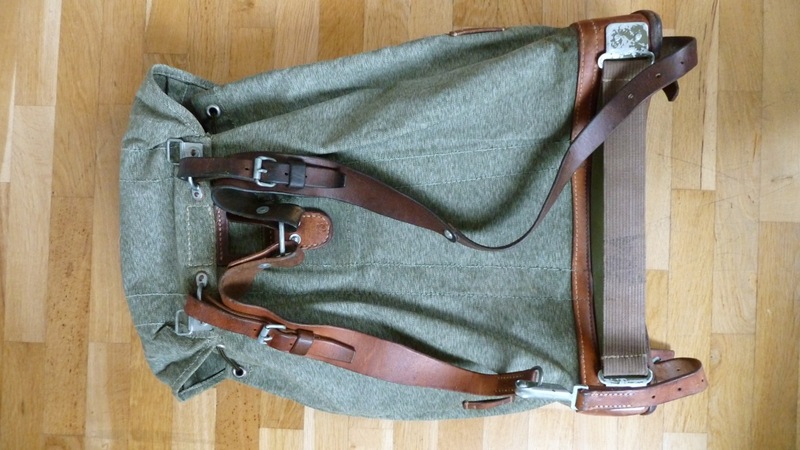 i can’t find this again on ebay, do you have any suggestion to get good condition swiss military bag? Try to find on ebay germany or swiss and see if they are shipping worldwide, thats the only advice I can give. I bought mine from a very hidden, local store, located in the central part of Switzerland. 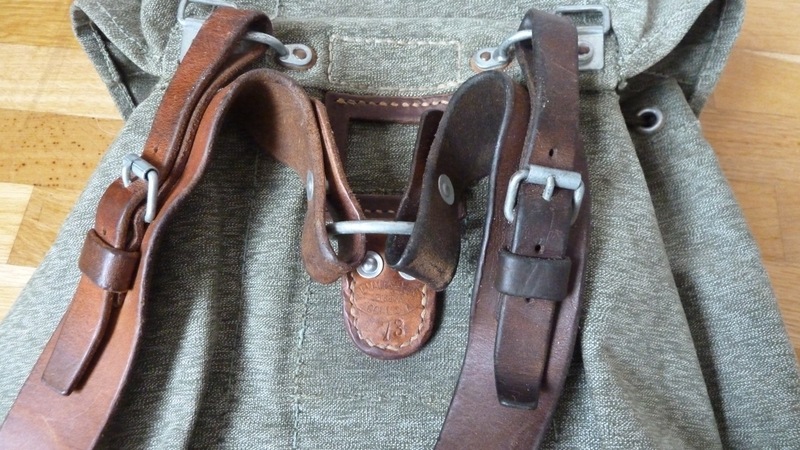 I have seen the store still have arround 10-15 similar rucksacks. Even the rubberized one. Let me know if someone is interested. Do you happen to live in Switzerland? I am very eager to come upon one of these rucksacks. I live in America; am wondering if a transaction is possible. im living on the close to the border but even in here they getting more and more less seen for sale. Grab one as soon as you can. It seems the bigger stocks are used up. The original swiss army warehouses are also closing down one after another. 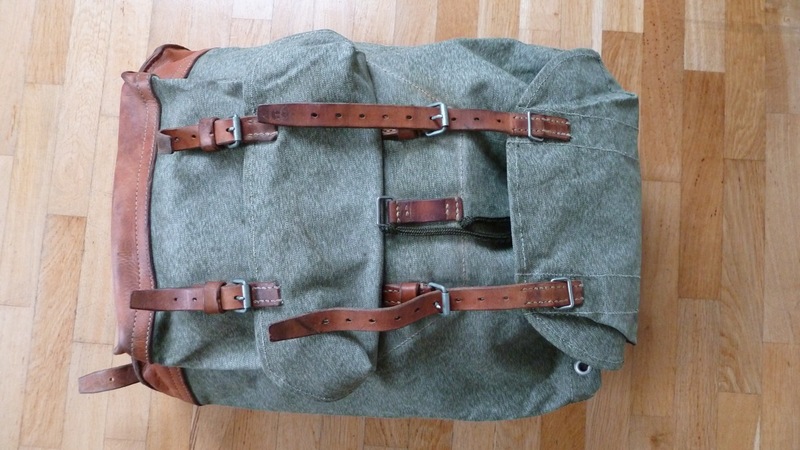 I am wondering how could this sort of rucksack be preserved. What sort of wax shall i use for the leather parts and how could i make it water proof for the textile part. 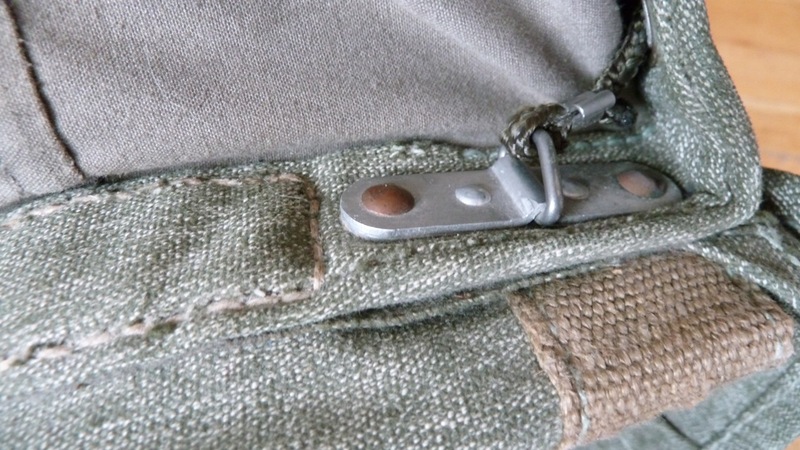 Would Greenland Wax from http://www.fjallraven.com/guides/material-guides/greenland-wax‎ would work? sorry for the late replay but i was away. 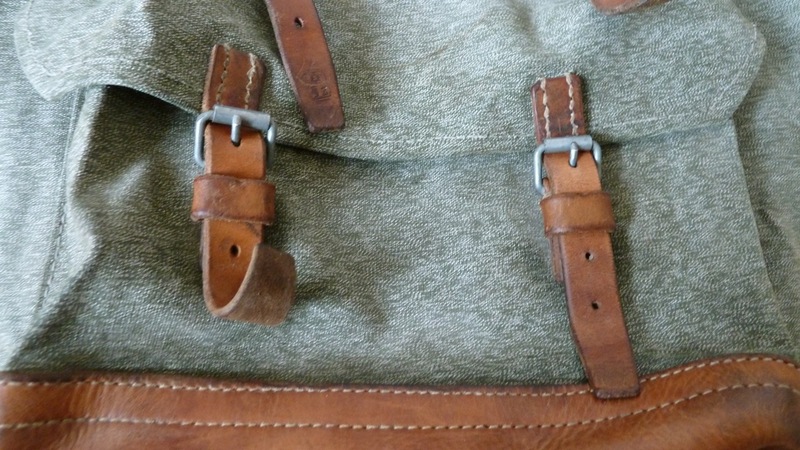 I did not use any kind of wax for my backpack since it seems to have some kind of wax already in the canvas. I Oiled (neatfootoil or mink oil) the leather parts so to stop them from breaking. That was it – decades of life into them for sure. 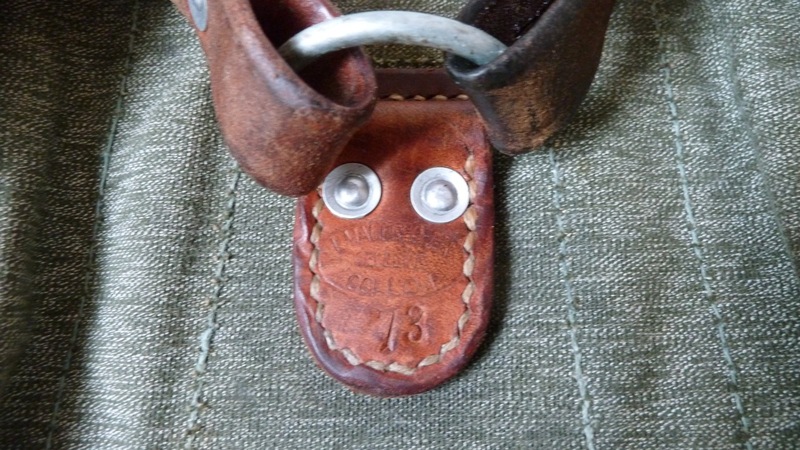 If you are into crafts you have to admire the army of saddlers who did those old swiss army stuff. If in need for a wax i would use otter wax or the greenland. Any chance you still have one of these left for £120 or less? hello lottie, please contact me via email. Based on where you live i could also help. Send me a message. Hello, where did you get this bag please? they are getting rare and grab one before they are all gone and/or getting too expensive. Send me a message and i may help you.